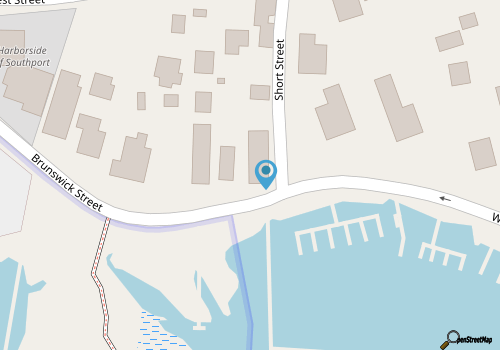 Nature lovers who want to take an in-depth and self-guided exploration of Southport's wild terrain can take an easy stroll down the "Marsh Walk." 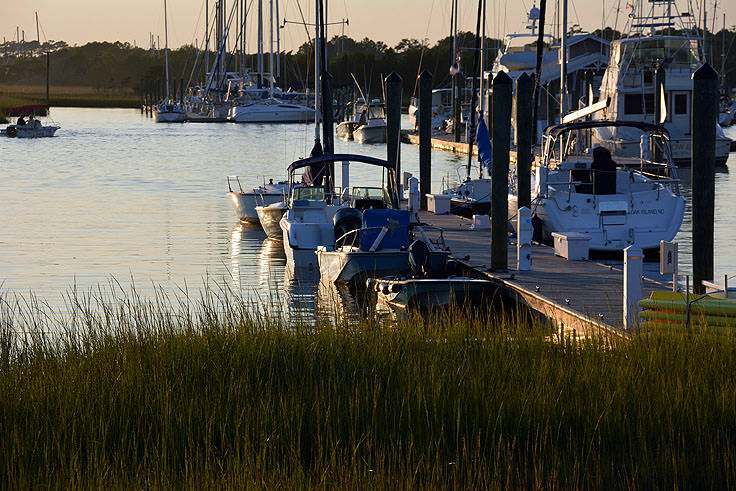 This long boardwalk that begins along Brunswick Avenue on the edges of the busy downtown ends, essentially, in the middle of nowhere, with incredible views of the Cape Fear River, Elizabeth River, and miles of the waterfront terrain that defines Southport as a uniquely coastal town. 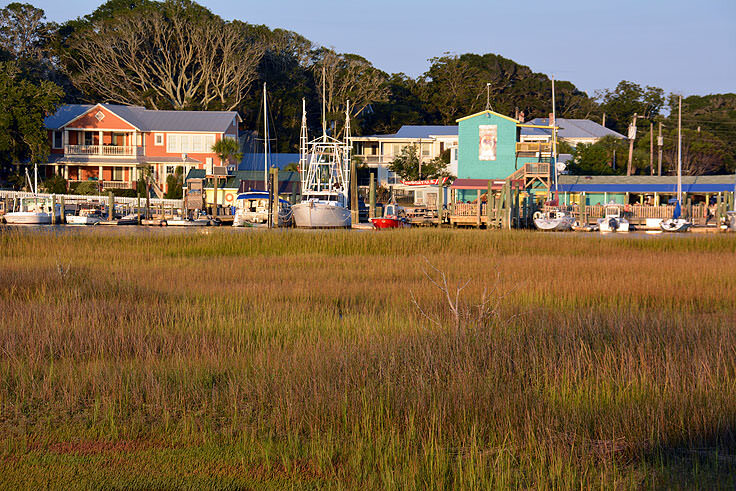 Visitors can access the Marsh Walk by parking at the neighboring marina, or along the street on Brunswick Avenue. 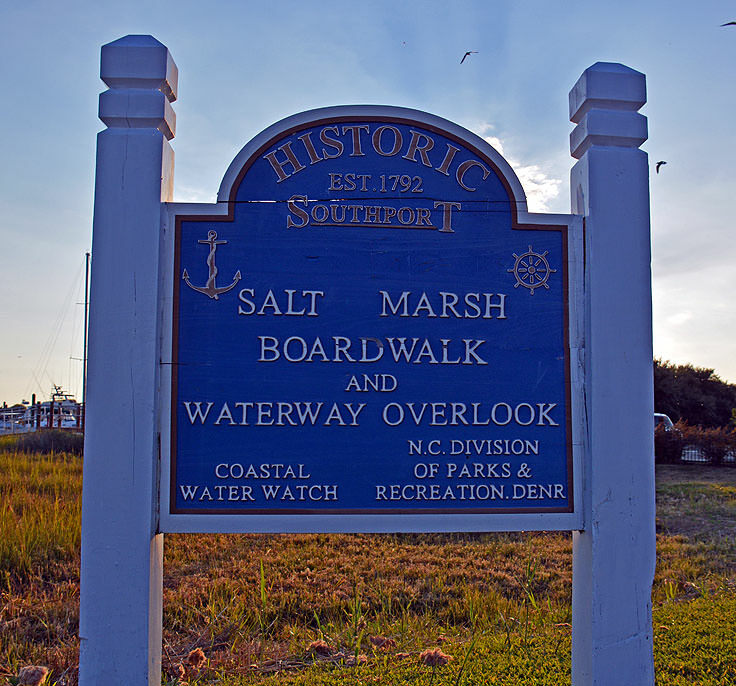 Hard to spot, there are little markers to indicate that this scenic boardwalk even exists, but Southport Visitors in the know will be able to locate this reclusive nature trail that's sandwiched in between multiple boat docks. 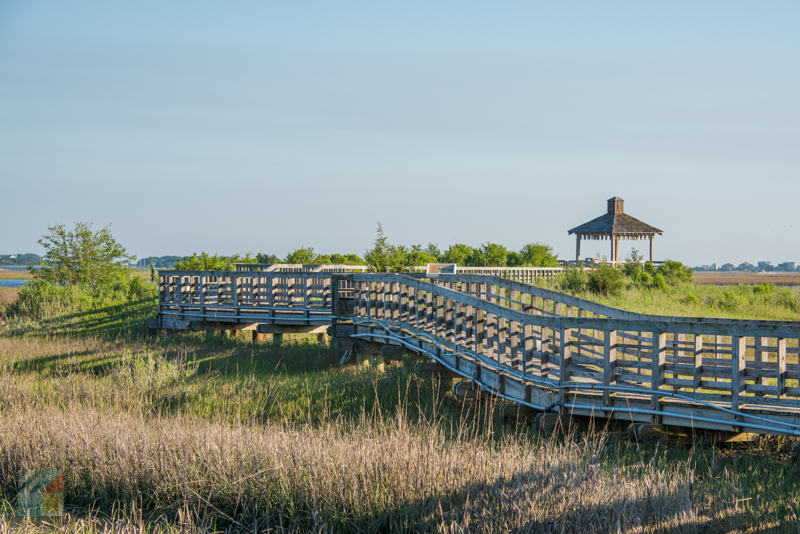 The "walk" itself is a straight 1/8th mile boardwalk, with slightly weathered wooden railings, that eventually leads out to a picturesque shaded gazebo overlooking the lower Cape Fear River region and its outlying barrier islands. The wooden walkway ensures that no visitors get their toes wet, and hovers slightly over saltwater grasses and small streams that ebb and flow with rain water and storm surges. 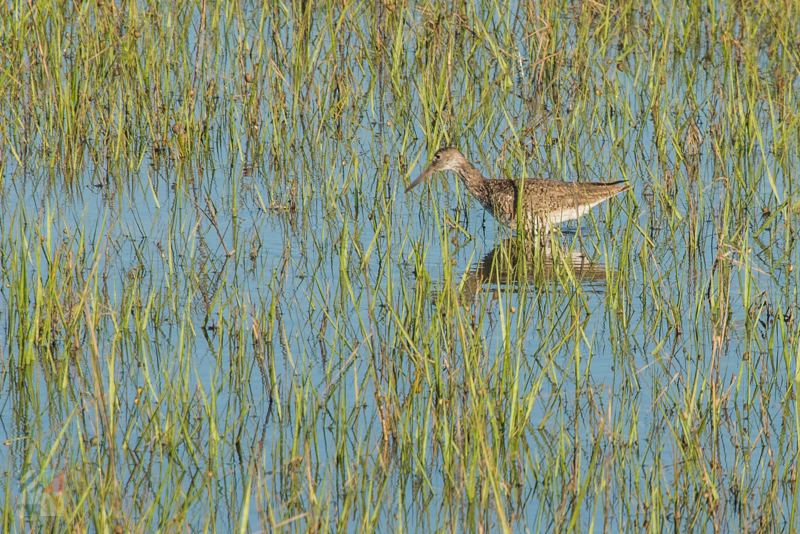 Nature lovers and bird watchers will find a lot of distractions along the walk, as migrating herons, ibises, egrets, osprey and other, smaller shorebirds have been known to frequent this remarkable unpopulated region of Southport's waterfront. 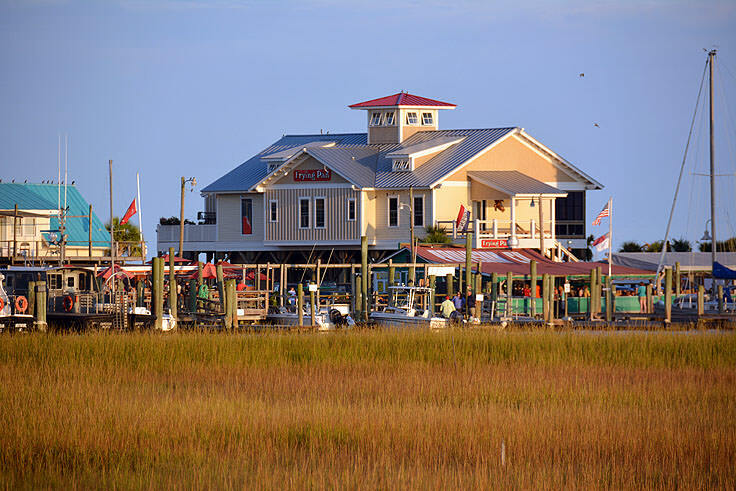 Visitors should also look down along the muddy and watery regions under the walkway for the opportunity to spot muddy fiddler crabs and schools of small mullets and minnows quickly navigating the small, salty waters. 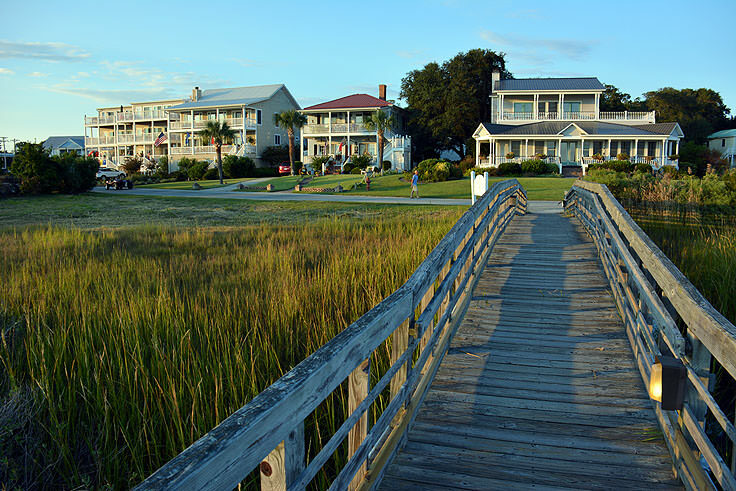 For many visitors, regardless of natural inclinations, the boardwalk is a breath of fresh air, which allows folks to see unparalleled views of Southport from a perfectly scenic vantage point. At night, the region of the Downtown and the outlaying barrier islands are lit up, making the walk an exceptionally incredible, and altogether romantic, destination for any stroller passing by. Summertime visitors are advised to bring bug spray along, as the unpopulated terrain is very popular with mosquitos, and a little sunscreen may be needed as well for visitors who intend to relax and stay a while, enjoying the view. The Marsh Walk may be one of Southport's less obvious local attractions, but it is certainly one of the most scenic destinations in town. 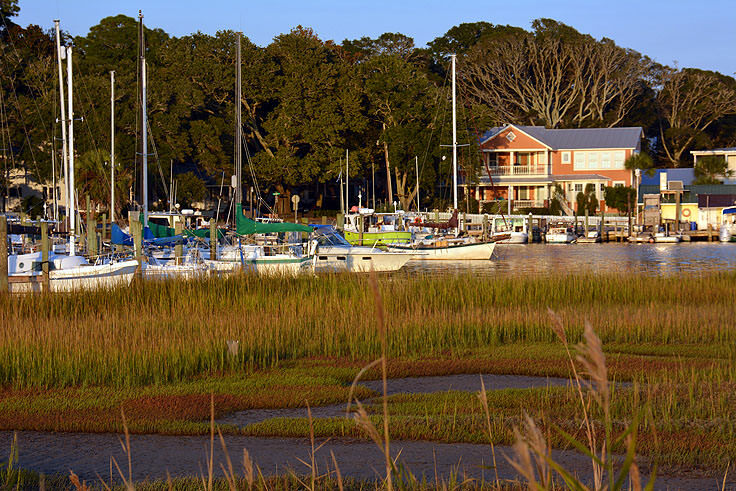 Featuring an expansive boardwalk that cumulates with fantastic shaded views of the Cape Fear waterfront, the Marsh Walk can be a (free) romantic evening getaway, a fun place to let the kids run free, or a quiet spot to admire the local wildlife. 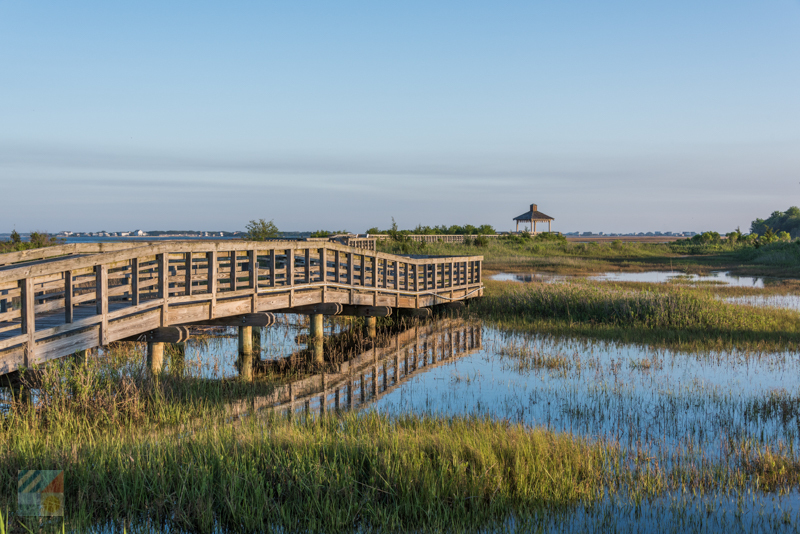 Whatever your taste or preferred endeavor, Southport's Marsh Walk delivers with incredible views and relatively undiscovered terrain.